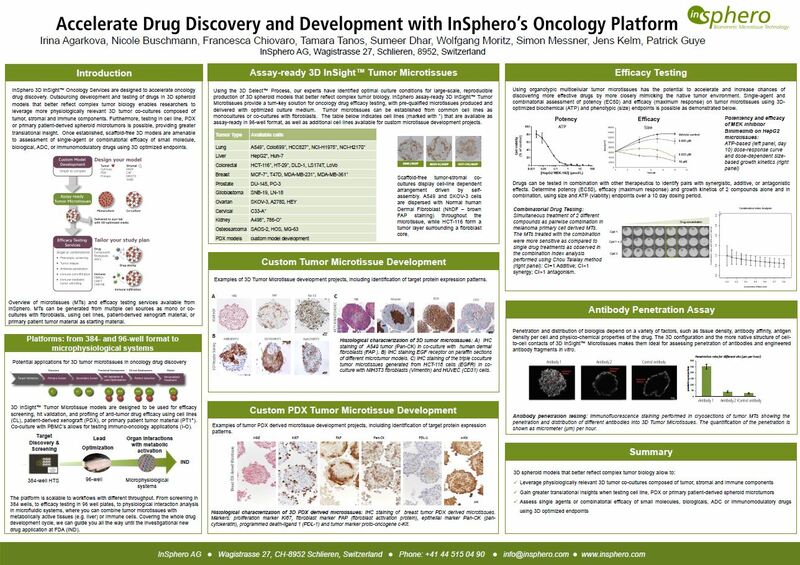 Select from assay-ready tumor and tumor/stromal models derived from commonly used cancer cell lines, or work with us to develop a custom tumor model to specifically for your project. Choose or provide a tumor cell line or PDX sample, and we’ll optimize conditions for microtissue formation to develop monoculture or co-culture (with fibroblasts) models. We can also work with patient-derived primary tumor material. 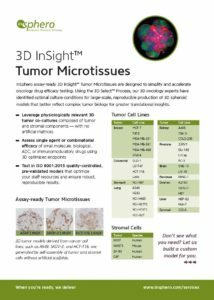 Once established, your new model can be used in 3D InSight™ Oncology Efficacy Testing or delivered assay-ready for use in your lab. Custom tumor microtissue monocultures and co-cultures can be developed using a broad range of cell lines and PDX materials.